Things are shifting on the international stage as, in preparation for a BREXIT that may never come, Britain lifts its eyes to the far trading horizons. 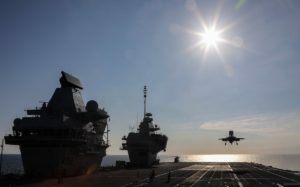 The British government plans to extend its reach of the Royal Navy to east of Suez (excluding the Gulf) for the first time since the late 60s, despite having the smallest number of ships in living memory and a dire shortage of sailors. It is looking for new bases in the Indian Ocean and the Far East. 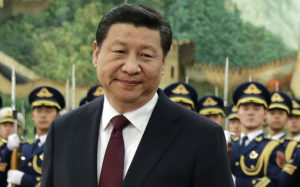 Under renewed threat of violence from Communist Chinese President-for-life Xi JinPing, the independent Tiawan is offering facilities to the UK in return for a desperately needed friend against the bullying motherland, that wants it back at any cost. That base will come with a defence-treaty price tag, do doubt.